Seldom do customers have just one itch to scratch. While you may be there for a specific reason, the opportunity to present yourself as a credible problem solver is, we believe, the greatest opportunity most agents miss. Redbird has developed a simple, straightforward selling strategy to help agents expand the discussion around needs rather than products. Pulling customers closer so they won’t want another agent. Education and development is the backbone of our approach. 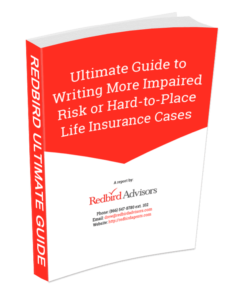 Redbird conducts twice-weekly webinars that dig deep into each of the three categories—life, health and retirement—plus one of the most important capabilities for an agent: how to properly present “Services Offered”. It’s not fancy, but it can set the agent up for significant opportunity down the road. Redbird has developed an expansive set of sales support pieces across the three categories which will be made available to agents who attend training sessions. An example of the Services Offered is included here. Following is an overview of Redbird’s top carriers available to agents.